Oh baby, yeah. Power tools! Nothing like an efficient tool to make gardening a little easier, right? Troy-Bilt rocks a winner, again. The TBC57 Cordless/Battery-Powered Cultivator is a new item from Troy-Bilt for 2012. The lithium-ion battery enables you to work farther from an electrical source as there are no cords to manage. The 9-inch width and up to 5-inch depth keep the device appropriate for tight spaces, trench edges, squeezing between shrubs, breaking up surface crusts, etc. Peter summed it up nicely when he said he experienced immense satisfaction after using the cultivator to clear out the 30-foot patch of violets and baby weed trees in the side yard. There’s just something really satisfying about using a power tool to do in 15 minutes what would take an afternoon bending and pulling thousands of weeds by hand. That said, raking up pulled weeds is always a good idea so they don’t set root again, starting the cycle over. Remember: Click on photos to enlarge. Yeah, a rake is good for removing the weeds that the cultivator rips out but you will get some longer bits and vines wrapped around the tines. In our case, we also captured a coat hanger (I know right?). You can pull stuff out of the tines fairly easily but if stuff is really wound tight, you’ll need to remove the tines to do a thorough job. Little springy clips pop right out and allow you to slide the tines off one at a time. Just remember which way you want to put them back on. And sometimes you’ll get baby weed trees pulled and wrapped up in there if you don’t pull those before cultivating. We really ran this thing through its paces and didn’t prep any areas beforehand. I did it without gardening gloves and no chips to my manicure. The only perplexing issue were the two overly large cotter pins that were not mentioned in the manual or the quick reference sheet. I also watched Troy-Bilt’s own set up video on YouTube and there’s no mention of what these pins are for. I may just use them as earrings or something. The way to adjust the tine depth is to adjust the wheel setting. The instructions are pretty easy to understand on that point. No biggie there. One thing I love about this cultivator: it’s fairly lightweight at the same time as being quite powerful. I was able to manage it myself without use of a male. It made me feel a little more independent. The only thing I really wished for was a short-person’s adjustment on the handle length. As you can see from the comparison photo of my 5’5″ frame to Peter’s 5’11” frame, the arm/elbow angle is different for squats like me. And because I exercise my mouse hand more than my biceps (I know, my problem), I did have some issues grasping the unit the same way that Peter was able to. Peter thinks it’s because I’m a weeny but I do contend that an adjustment notch on the handle would have helped me. Not a deal breaker, just woulda been nice. Not your mama’s D batteries. The lithium-ion battery came partially charged so we popped it in the charger for a full blast. You can easily check the power level by pressing the little red button to see how many green LED lights you get. One full charge is good for 1500 square feet and the charger will fast-charge the battery fully in just two hours (wish I could say the same for my iPhone). You’re not going to use this on a large scale farm but it’s perfect for the typical homeowner. Check the battery’s charge and insert into the cultivator until it clicks into place. Remember, before taking apart the tines for serious cleaning, be safe and remove the battery. What’s so great about Troy-Bilt? It’s no secret that I love Troy-Bilt products. I also hate to give bad reviews so I do have a tendency to only review products that I’m pretty sure are a good bet. Yes, Troy-Bilt did contact me about reviewing this exact model of cultivator and I did not buy this model myself. If you check their website, you’ll find they are investing significantly in lithium-ion battery powered tools. In fact, all their lithium-ion tools have interchangeable batteries so really, all you need is one battery and charger. This is great from a budgetary and eco perspective. Couple that with the fact that they generally don’t produce failures. And they take any criticisms to heart, working to improve products all the time. This is why I like them. Tilling and cultivating are two different things. To help alleviate confusion, please read my addendum at the end of this post. Does every homeowner need a tiller? No. Can many homeowners benefit from owning a cultivator? IMHO, yes. You need a more efficient way of dislodging weeds because you have a lot of ground to cover and hand-pulling ain’t gonna cut it. You have a bad back. Cleaning up grass overgrowth from trench edging around flower beds. Cleaning up surface soil between shrubs and closely spaced plants. Easy way to prepare raised beds by mixing in compost — it’s much easier to maneuver than a tiller. Your garden soil has developed a hard crusty surface, impacting oxygen and water penetration. I can’t wait to try this cultivator on the Creeping Charlie in the back yard! I’ll be emailing you shortly Kelly to get your shipping address so Troy-Bilt can get your new cultivator to you post haste! You can follow Kelly on Twitter ‏@kellycrochets or her blog. 4 ways to enter to win a TBC57 Troy-Bilt Lithium-Ion Cultivator of your own! Deadline: September 23th! 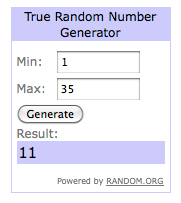 At 12:00 (noon) Central Standard Time, I’ll draw a winner using the Random Number Generator. You must be a USA resident for shipping purposes. Troy-Bilt will ship the unit directly to the winner. You may enter one or more of the following ways. Each comment you leave will increase your odds. Leave a comment using your real email address and state how you think a cultivator would benefit you specifically. The difference between tilling and cultivating. Tillers turn soil at huge depths, usually at least 10-12 inches. This can disrupt established ecosystems but it can also be needed to amend soil that is so barren, it lacks any significant value to gardening. Deep tilling is also a great way to clear a spot for a garden while working in cotton burr mulch and compost to amend clay soils. Just remember, deep till good soil sparingly, if at all, because every turn of the blade releases nitrogen that you’ll have to replace with compost and disrupts soil ecosystems. However, heavy clay soil can benefit from amending with mulches and composts. It can take many years to improve poor soil. Alternatives to using a tiller to clear areas of a lawn for gardening include solarizing the section and/or lasagna layering. I’ve used both and they work very well. Cultivators stay nearer to the surface (up to 5 inches for this Troy-Bilt model) and are more appropriate for surface hoeing quickly and more efficiently than you can accomplish with a manual hoe. They are also great for working in fertilizers in the top couple inches of soil without disrupting deeper eco-systems. AND, they will break up that surface crust that builds up over time and impacts rainwater runoff. Effects on earthworm populations (for my vegan buds). According to the University of Illinois Extension Service, there are approximately 2700 different species of earthworms. Having worms in your garden soil generally means you have healthy soil. They prefer to live where there is food, moisture, oxygen and appropriate temperatures. They won’t stick around without these ingredients. Let’s go over a few key facts about earthworms. They are not native to North America but were brought over by European settlers. They are having a negative impact on some woodland ecosystems. Yet, at the same time, they are a boon to gardeners. You can read more about this here. Where do they go when it’s really hot? Worms need moist soil and between temperatures 55-70F to survive. Various websites list a variety of temperatures but this seems to be the optimal range. During hot weather, they will seek out more damp locations to survive, often burrowing deeper into the soil. So, if you do your research, check the weather, etc., you should be able to determine the optimum time to cultivate your soil without mass genocide. Would love to have a battery-operated small cultivator for use inside the greenhouse and planned high tunnels, where using the gas tiller would a) kill me with CO poisoning, b) be difficult to get there when it’s snowy out, c) be annoyingly noisy, and e) be too big to maneuver in such tight spaces. ‘twould be great for incorporating compost and other soil amendments between crops in the salad garden as well, since most plots in that section of garden run through 4-7 different crops in a single growing season. I used to have the electric version of this little guy, but I gave it away in haste after my divorce and am still kicking myself. I am excited to see a lithium-ion battery upgrade! This would be perfect for a raised area in my backyard where I planted a cover crop last year and want to incorporate some compost this year. If this is half as good as it’s electric counterpart, I’m in. Wow! 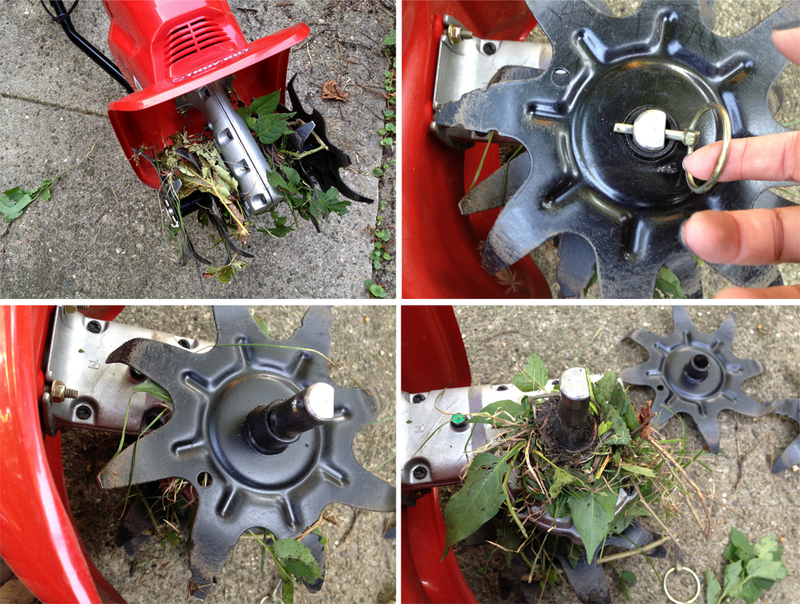 I love this post you did about this TroyBilt Cultivator! I love how you really took the time to show pictures and give such great detail! So much great info! I would use this in my own backyard and the 2 school gardens im in charge of! It would cut weeding time in half and give me more time to educate and sow seeds with the kids. Good luck to all and happy gardening. 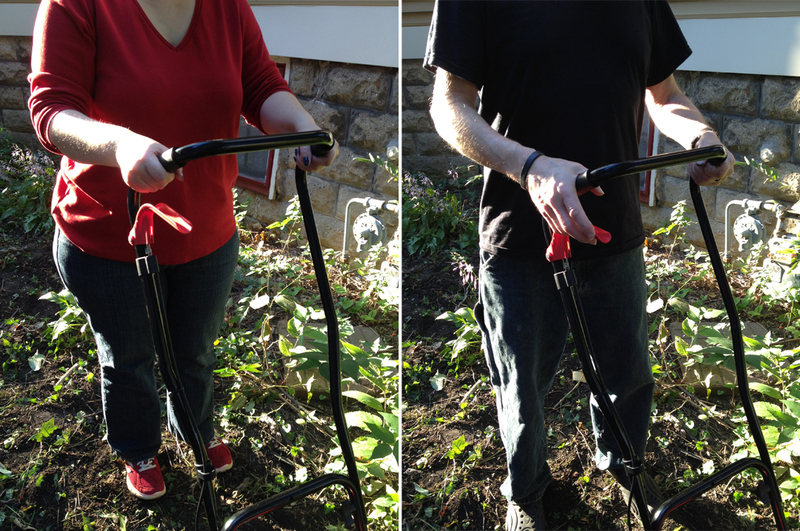 I would use the cultivator to help change my compacted, weedy, sorry side yard into a weed-free garden area. I followed troy-bilt on twitter. I follow @snarkyvegan on Twitter ! I LIKE Troy-Bilt on Facebook. I follow Troy-Bilt on Twitter! I would love to own a Troy Bilt cultivator because this would enable me to make my garden better and better, year after year. Why have weeds when you can get rid of them quicker!? Less space for weeds equals more delicious veggies. I’ve been chomping at the bit to take out my front lawn and put in a short grass prairie, esp with only .7″ of rain the whole summer. I can’t afford to even rent a cultivator, and would like to document the process of converting lawn to garden on my blog. And will, in fact, if I can make it happen! I follow you in Twitter. Boy I do. We live rt by some woods. The weeds are taking over our yard! NEED the Troy-Built to till and fight off the weeds. Relief from Back breaking work! Heelp!! Just found you through the “Soiled Again” FB page–wish I had found your blog sooner! Your product review is great–excellent details. Now, I’m drooling over the Troy-Built cultivator! We have some serious clearing out of beds to do…Thanks for the fun giveaway! Liked Troy Built on FB. Followed Troy Built on Twitter. I would love to have a bigger garden but our soil is very hard to work. We grow a few things but can never seem to get enough aeration into the soil as its very compact and hard to work. I also mow close to 2 acres with a pushmower and am always putting off certain sections because of the overgrowth of weeds so a cultivator would make that job so much easier. If I win the cultivator, the front lawn is getting torn up and replaced with prairie grasses and flowers! I follow troy-bilt on twitter. And, finally, I follow troy-bilt on Facebook.